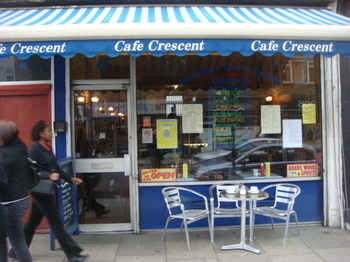 Cafe Crescent is one of the first places where my wife and I became regulars after moving to London. 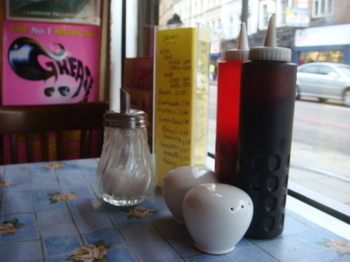 One day we entered, and seconds later, our food arrived without ordering. They simply knew we each wanted an ebcb with tea. Marvellous! I feel bad that I've been cheating on them with both the Camden Kitchen and The Goodfare. They're so sweet, though, that I know if I come crawling back they'll have me. Next time you're up for a Crescent ebcb, give us a bell! "slightly like a white nun bending to inspect a fleck on her habit"
Hi, I love the site. 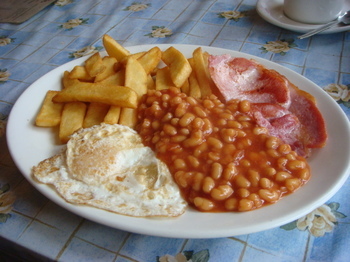 I've started doing reviews of Irish breakfasts around Dublin. I've decided that since I eat them I might as well review them too! Hello there, Russell. No more plans for EBCB t-shirts? Mine is wearing out! 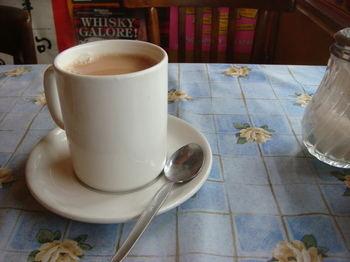 this blog never ceases to make me - and the homesick Brit i live with - smile. cheers! Thanks for the tip! I live near Camden and it's Friday! 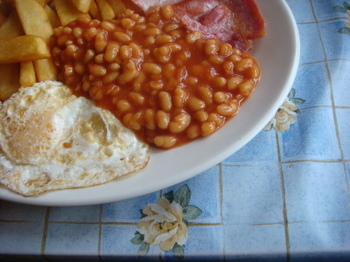 Quality fry-up here I come. 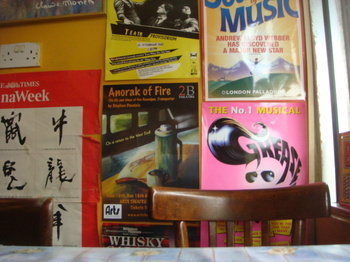 When we were last in London in April, we stayed at the Holiday Inn at Camden Lock and discovered Cafe Cresent one day. 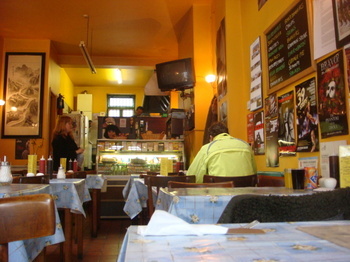 The interior is charming and the food was tasty.